At a relatively small keynote presentation in New York City, Microsoft revealed the latest version of its laptop-tablet hybrid device, the Surface Pro 6. The laptop features Intel’s 8th-generation Coffee Lake processors and a new matte black colour. This is the first time since the original Surface and the Surface 2 that Microsoft has offered the device in a black colour variant. Other specs include a 12.3-inch ‘PixelSense’ display, all-day battery life coming in at 13.5 hours, an 8-megapixel camera and the return of the Alcantara keyboard Cover. Panos Panay, Microsoft’s head of all things Surface, stated during the keynote that Microsoft has done significant work within the Surface Pro 6 to improve the device’s cooling. Microsoft also claims that the laptop-tablet hybrid is 67 percent faster than its predecessor thanks to Intel’s 8th-generation Coffee Lake CPU architecture. 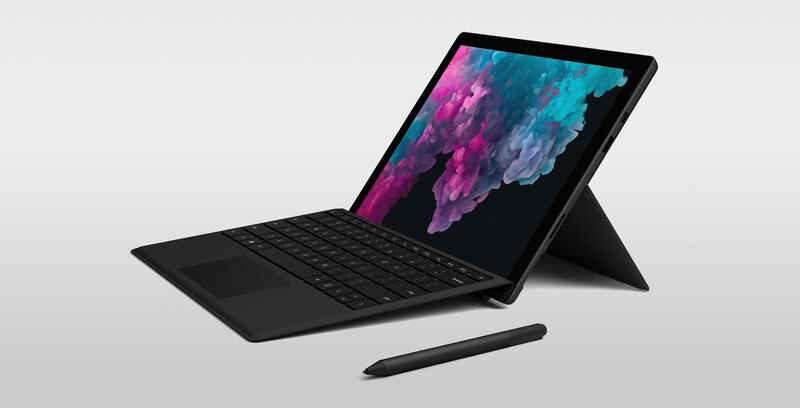 The Surface Pro 6 measures in at 0.7kg (1.7lb) and can be configured with up to 16GB of RAM. The laptop-tablet hybrid also features a full-size USB 3.0 port, microSDXC card slot, Mini DisplayPort, 3.5mm headphone jack and of course, Surface Connect port. Overall, the Surface Pro 6 looks strikingly similar to its predecessor. 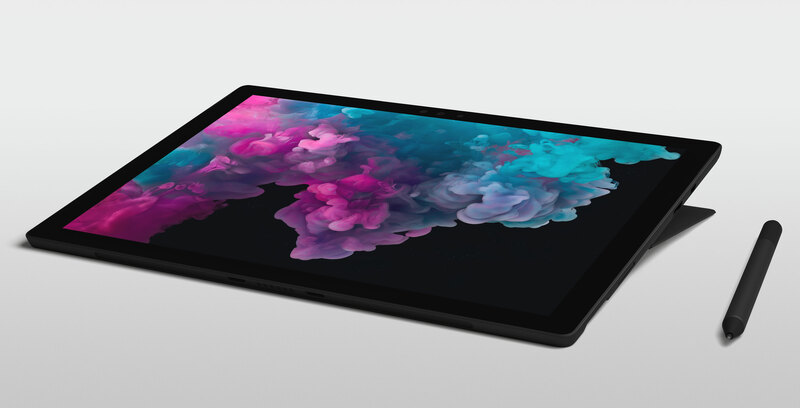 Microsoft says that the Surface Pro 6 starts at $1,179 CAD for the base level version that includes an Intel Core i5 Coffee Lake Processor, 8GB of RAM and 128GB of storage. The device is set to be available on October 16th, 2018.